Willy Street Co-op launched a program in September to help small businesses market and improve their products. 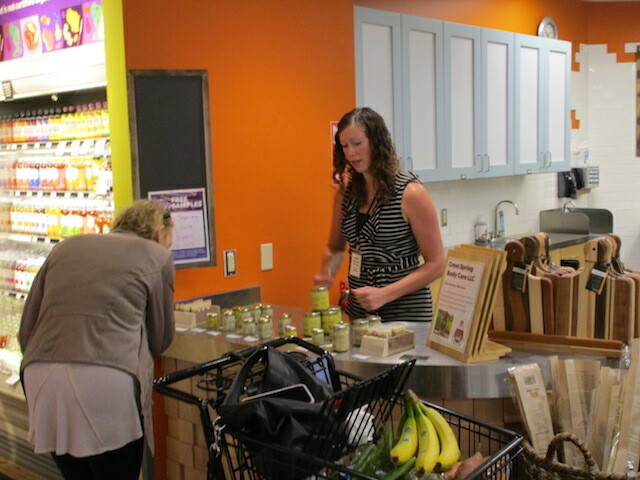 The Retail Ready Lab program debuted during the co-op’s Eat Local Month promotion. The program provides support from the co-op and customer feedback on products for local vendors for one month. General Merchandise Category Manager Angela Pohlman said in a press release that the program was inspired by vendors’ interest to appear on the co-op’s shelves but whose products or packaging needed further development. Throughout the month, staff at Willy Street meets with the vendors, gives them space in stores to advertise and hand out product samples to customers, and features them in the business’s magazine and social media. The program is preparing to wrap its second month and welcome new businesses in November. Organizers noted the Retail Ready Lab will continue as long as there are companies interested in participating. Blue Mounds-based Cress Springs Body Care and Nami Chips, a vegetable chip company from Viroqua, were the first vendors to work with Willy Street. Patricia Nicholes, owner of Cress Springs, heard about the program from a friend before it started and applied as soon as she could. Nicholes said she jumped at the chance to display her products at Willy Street stores and find ways to improve her business. “Everybody that works here has been very supportive, answering any questions that I have. The customers have been giving me good feedback so I can grow as a business,” said Patricia Nicholes, owner of Cress Springs. Nicholes started her business in skin care products for her own dry and damaged skin three years ago. She said that some of the most valuable feedback she received was expanding available sizes on some of her products. Pohlman said she hopes that that the co-op will eventually be able to help vendors directly make changes from feedback, such as designing packaging. In addition to the greater exposure provided by Willy Street, Nicholes said she also appreciated the dedication to the co-op’s mission represented by the program. “I think it’s amazing that Willy Street is actually following through with what they say is important as a company. They’re giving local businesses and vendors a chance to really get into the market, and giving them good support so that everybody can be more aware of them as a company,” she said. Businesses participating in the Retail Ready Lab for October are Rally Energy, which makes caffeinated mints and Truli Julie, a producer of handcrafted biscotti. Both are based in Madison. Corina Rogers, a children’s book author from Waunakee, will display her latest book Backwards Dog at the store.